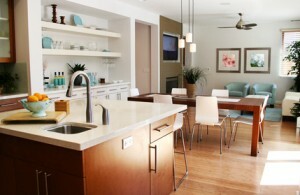 Stretch Cleaning & Restoration provides house cleaning and commercial cleaning services on LBI. Our services include carpet and upholstery cleaning, floor refinishing, window cleaning, mattress cleaning, exterior cleaning, and top-to-bottom whole house cleaning. We also offer specialty cleaning services in the spring and fall to homeowners opening or closing their homes for the season. Whatever you needs are, Stretch Cleaning & Restoration can help. Whether you are looking for someone to clean your home or business on a weekly basis or just need your carpets cleaned, you can trust Stretch Cleaning & Restoration to get the job done. We know that when you come to LBI you want to enjoy yourself, so leave the cleaning to us.